Our landscape designers and engineers restore, sculpt and enhance the natural beauty of your site. 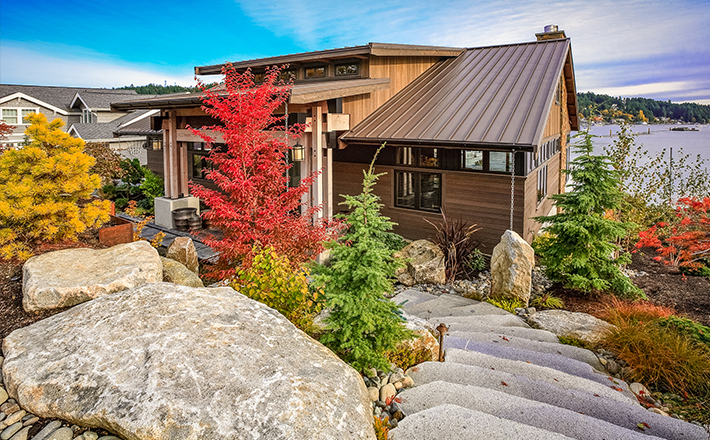 An exquisitely designed home embraces its surroundings. Inside spaces spill over into outside spaces. Light. Water. Privacy. Everything is considered in our integrated approach with the environment. Your guests move seamlessly from great room to terrace to garden. Stone walkways weave between column and tree. Feats of engineering enable a fourth wall that's nearly invisible, bringing Puget Sound into your kitchen. 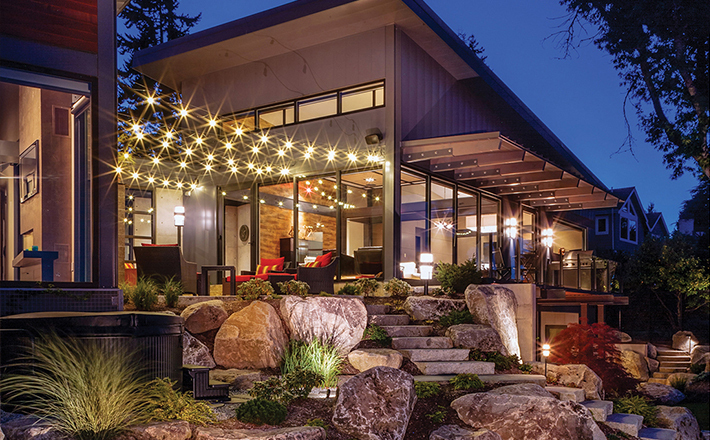 Home design naturally includes exterior spaces. How an exquisitely designed home embraces its surroundings is more than an afterthought – it is a essential part of the whole space planning. 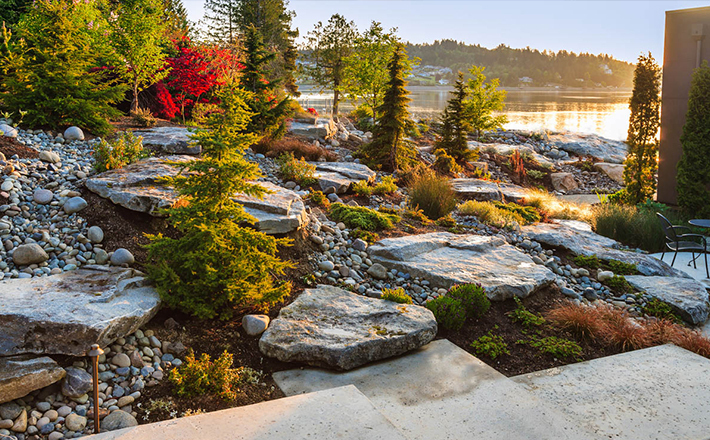 As inside spaces often spill into outside spaces, holistic landscape design considers the homeowner's lifestyle and aesthetic when developing the right tone for walkways, gardens and outside grounds.